This section details a mathematical model that further explains the multi-criteria scheduling mechanism outlined in the main thesis. The traditional scheduling systems covered in Chap. 3 typically use two primary variables: load and priority. 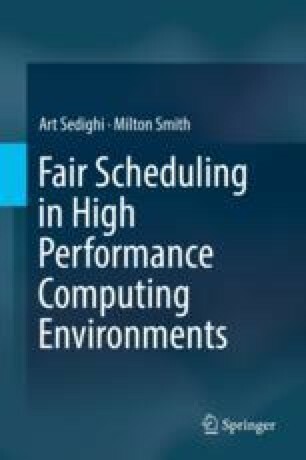 To avoid the limitations faced by such schedulers, the scheduler presented in our work uses as a third independent variable—seniority—to determine the order in which tasks are scheduled for execution. Unlike load and priority, seniority is system-calculated and changes over time. This aspect of this tertiary variable is also not modeled in scheduling systems.